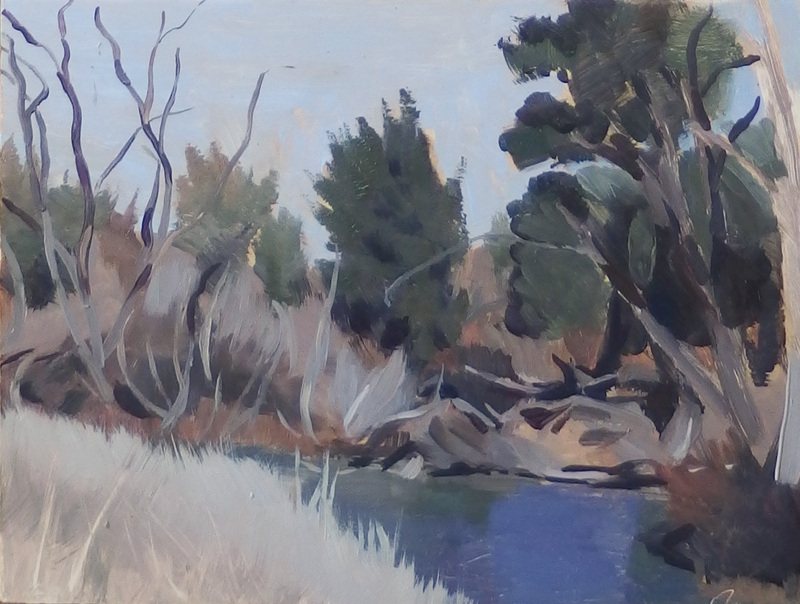 Two little en plein air studies painted this week. 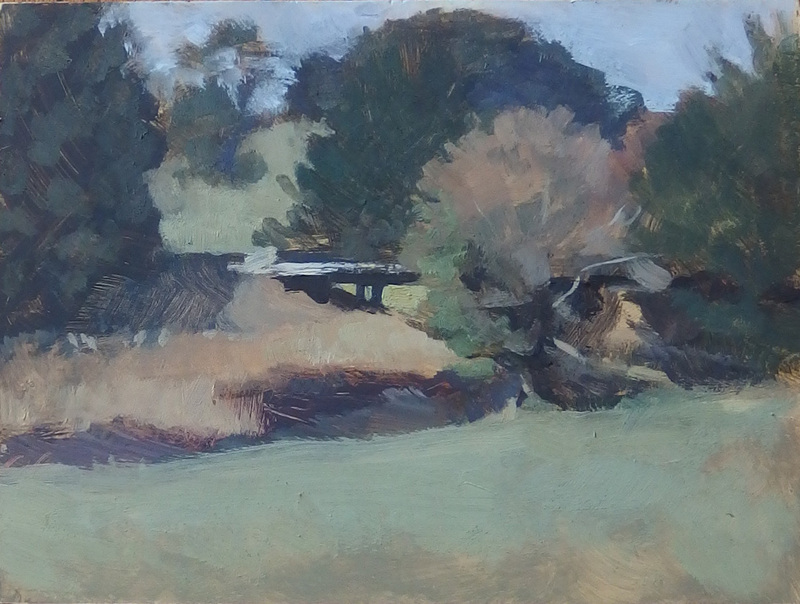 The first is the result of a workshop with Dario Falzon in the Southern Highlands. Dario is an experienced outdoor painter and an excellent teacher. Thanks Fiona, yes it was a good day. Windy though – had to dodge the occasional airborne palette!